Syncro ladder racks, roof racks and roof bars for Mercedes Sprinter. The Ultrasilent aluminium roof bars for Sprinter grant an optimal wind noise reduction for superior driving conditions. 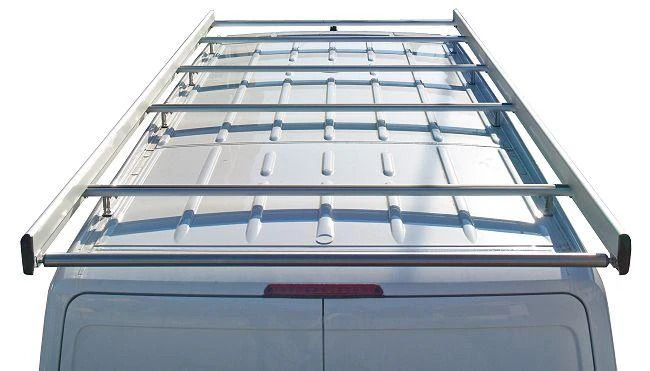 Supporting feet, made of stainless steel for maximum strength and durability, can be easily changed so that it is very simple to remove and mount Syncro System roof racks onto another vehicle. You can also buy individual parts and components as you need them, changes and upgrade of your MB Sprinter roof rack with side panels, loading roller or ladder lift is always possible. 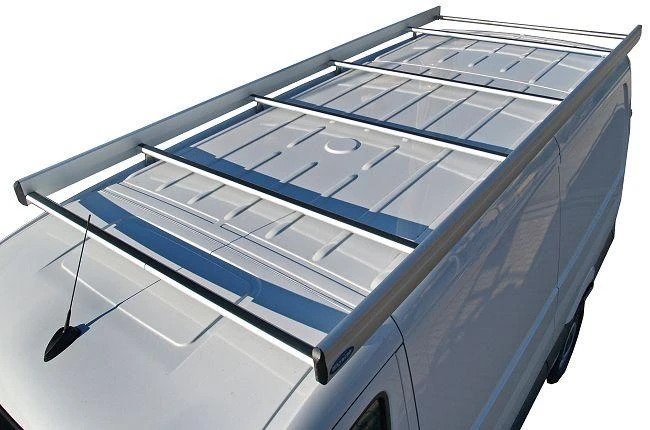 Ladder racks with 1 or 2 ladder slide-outs to load easily and safely your ladder on the roof of your LCV. 2 different models available: up-and-over and hydraulic assisted ladder racks for Sprinter.